A portion of every sale helps music education in schools! for SupportMusic.com, a music education advocacy effort seeking to improve access and opportunity in music and arts learning. Thank you! Makes a great gift for the music maker in your life! Take a behind-the-scenes tour of some of America's best-known musical instrument manufacturers, from Zildjian cymbals and Fender guitars to Steinway pianos, Ludwig drums, Moog synthesizers, and more. 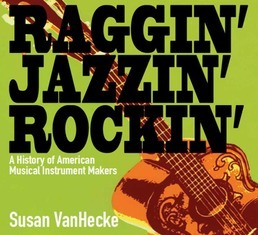 Packed with rare photos and fascinating info, Raggin' Jazzin' Rockin' offers a backstage look at the enterprising individuals – many of whom weren't even musicians themselves – who became some of the greatest names in the business of making musical instruments. Click play below and you'll hear talented young guitarist Richard Wile perform on a beautiful Martin acoustic guitar! Learn all about Martin guitars in Raggin' Jazzin Rockin'! who defined American music history! A German carpenter immigrated to New York City, determined to design the greatest piano in the world. The inventor of 3-D glasses dreamed of putting an electric organ in every home. And an engineering physicist discovered he could shape electricity into sound. Henry Steinway, Laurens Hammond, and Bob Moog are among the musical pioneers who changed the way music is played and how we hear it. 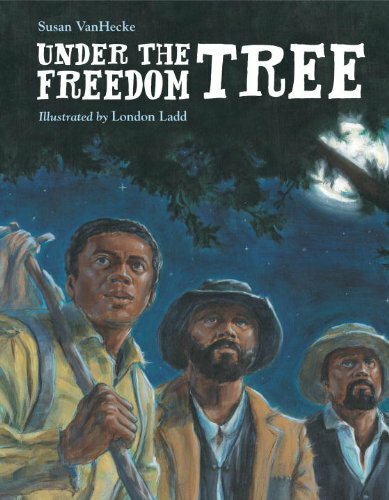 Some of these trailblazers were musicians, such as William Ludwig, inventor of the first practical drum pedal, and C.G. Conn, founder of the world-famous band instrument company. Others were born into instrument-making families, such as Avedis Zildjian III and Frederick Martin, whose own descendants went on to create cymbals and guitars that are among the finest. Leo Fender was a radio repairman and not a musician at all. Yet he created the Fender electric guitar, now a musical icon. With Raggin' Jazzin' Rockin', noted music writer Susan VanHecke offers a fascinating, insider view of the personalities and perseverance that led to some of music's most important innovations - from classical to jazz to rock. Illustrated in full color, the book includes more than 200 photos, many rare and vintage, plus detailed source notes. Learn how musical instruments are made and how they work! Learn who plays which instruments and why! Learn about American music history, including country, jazz, and rock! Click on the image to read chapter 1, Zildjian: Cymbals Through the Centuries! Susan VanHecke is the author of many books about music, including Rock 'N' Roll Soldier: A Memoir, with Dean Ellis Kohler, foreword by Graham Nash; Roadwork: Rock & Roll Turned Inside Out, with Tom Wright, foreword by Pete Townshend; Three Steps to Heaven: The Eddie Cochran Story, with Bobby Cochran; and Race With the Devil: Gene Vincent's Life in the Fast Lane. She lives in Virginia. A portion of the proceeds from the sale of each book will be donated to SupportMusic.com, a music education advocacy effort seeking to improve access and opportunity in music and arts learning. SupportMusic.com is a public service initiative of the NAMM Foundation, a nonprofit organization established by the National Association of Music Merchants. Its mission is to advance active participation in music-making.